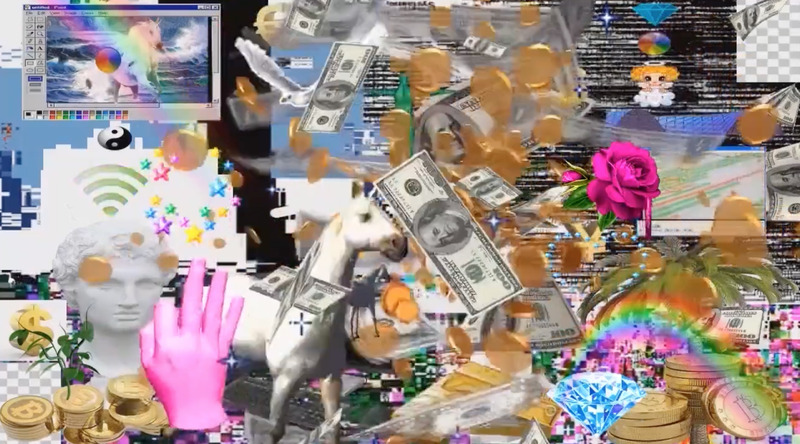 In “Attract Money”, Systaime offers explosive mashups of Internet Aesthetics, where information, images and comments provide a frame of today’s Digital Pop culture. 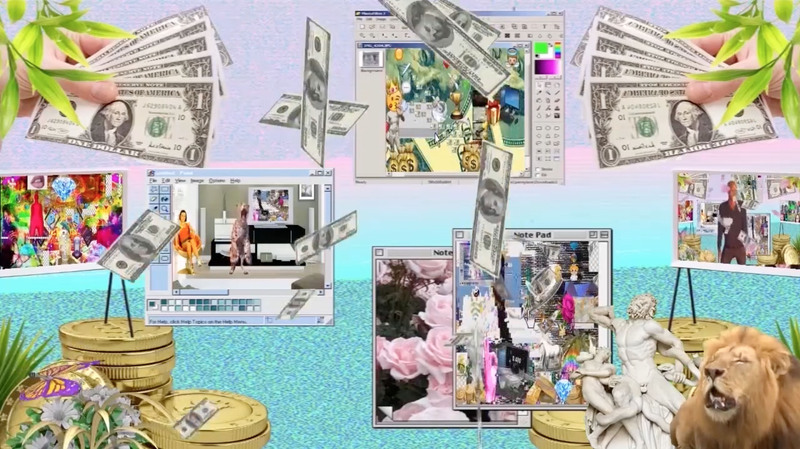 The artist remixes web images and uses an audiovisual spectacle to display the patterns that are dominating the Internet, its icons, its manifestations and its digital prosperity. We are the spectators of what he chooses to present us. What happens in the video has not much to do with our own lives, but it is more a kind of close esoteric manifestation of this web culture that is part of today’s pop culture. Artist of the multimedia and the networks, Michaël Borras A.K.A Systaime is the founder of the movement French Trash Touch (created in 1995, stopped in 2003), member of » the international échantillonniste », he is an important actor of the international alternative artistic network, the digital art and the art in network. Michaël Borras works on numerous international artistic events as producer, organizer, speaker, art curator. In 2011, he is the inspirator and the founder of the Spamm, the Museum of the Super Modern Arts. Since 2012, he is also columnist for the tv show l’Oeil de Links broadcasted on TV Chanel Canal +. In Mars 2013, he organizes the exhibition Spamm Cupcake in New York at invitation of Marc Brown. In July, 2013, He realizes the clip » Sexodrome » for Asia Argento and creates the visuals for the show » entropy Total » in Silencio the David Lynch’s exclusive club in Paris. In the end of July, 2013, He organizes with Miyö Van Stenis and Helena Acosta, the exhibition SPAMM Dulce in the museum of contemporary art of Caracas in Venezuela. In June 2014, he partnered with Nicolas Kantorowicz (Sporto Kantes, Ex Wampas) to create: Systaime X Kantes. With Dj Kantes (Nicolas Kantorowizc), they are invited by the French Institute for a tour in Indonesia and Thailand, they realize audio / video lives in the cities of Yogyakarta, Surabaya, Bandung, Bali and Bangkok. In July 2014, he organized the Festival « Digital Vision ». In September 2014, he organized with Helena Acosta and Alan Schaffer the exhibition « SPAMM Webtics » in New York. 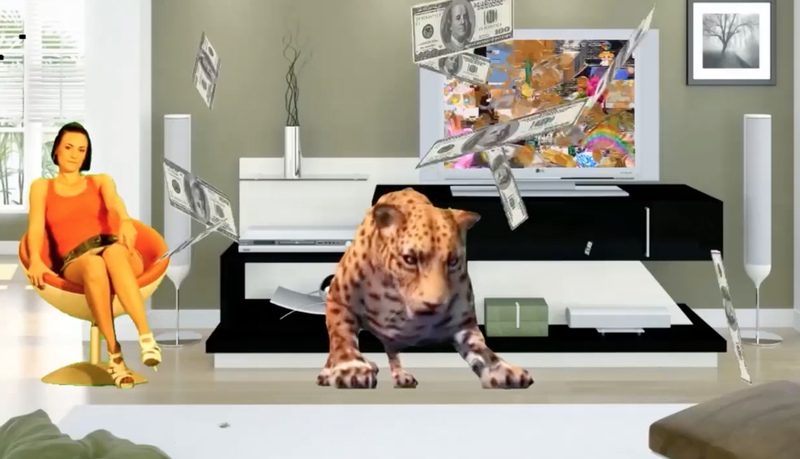 In March 2015 he produced the interactive video « Baba » for The Band ODEZENNE, in April he organizes with Helena Accosta Spamm Of Virtualism exhibition at Babycastles Gallery in New York, the EKLUZ gallery in Paris and the Electromuseum in Moscow simultaneously. In July 2015, Systaime remixed Eurocks, performing an in situ performance and networks during the festival « the Eurockéennes » in collaboration with the Espace Multimedia Gantner. In April 2016 he was invited by the School of the Art Institute of Chicago to present his work at a conference and an audio / video live. In May 2016 he is a part of Athens Digital Arts Festival, he also presents his solo show at the gallery Jed Voras in Paris.